The heater box of the BMW 2002 is simple, yet also a little challenging to rebuild. You really need to pay attention to how the system works before taking it apart. If the car doesn't have an A/C unit, removing the entire box from the car isn't too hard. There are a few common problems that all of us probably have with this box after 40 something years: 1., the blower fan has probably frozen or has become noisy; 2., the heater valve mount has broken and 3., the control cables are frozen, therefore unable to divert the air from defrost mode to heat mode. Your heater box may have one of the above problems or all of the problems. Many of us decided to live with it due to high cost of repair, and now replacement parts are no longer available; perhaps we took on the challenging task to rebuild one these boxes. I own a reputable shop in San Francisco. Me and my employees have been working on many of these beautiful '02s for quite some time. One of the many requests I receive is to rebuild the heater box. Rebuilding the box is not that difficult, but it’s just a little challenging due to small amount of parts available. Some parts are still available fortunately, however some are not. While the heater valve (without the lever) is still available new (but at a very high cost), replacement blower motors are also available, but it doesn't include the fan blade anymore. The heater lever and cable holder screw are also no longer available, and that means you can't get them anywhere except searching for used parts. Therefore you have to be creative. 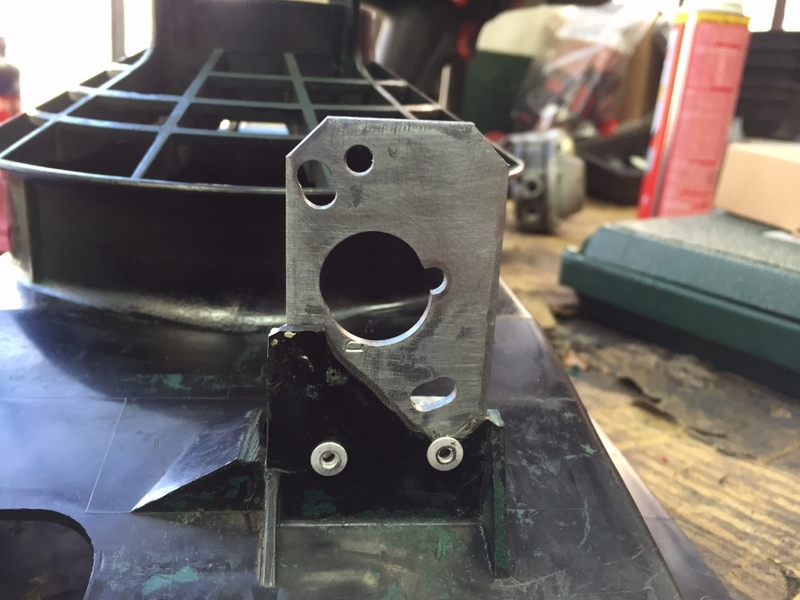 Heater Valve Mount: This is the plastic bracket area which is also part of the box. They break due to age and stress from the valve being opened and closed all the time. 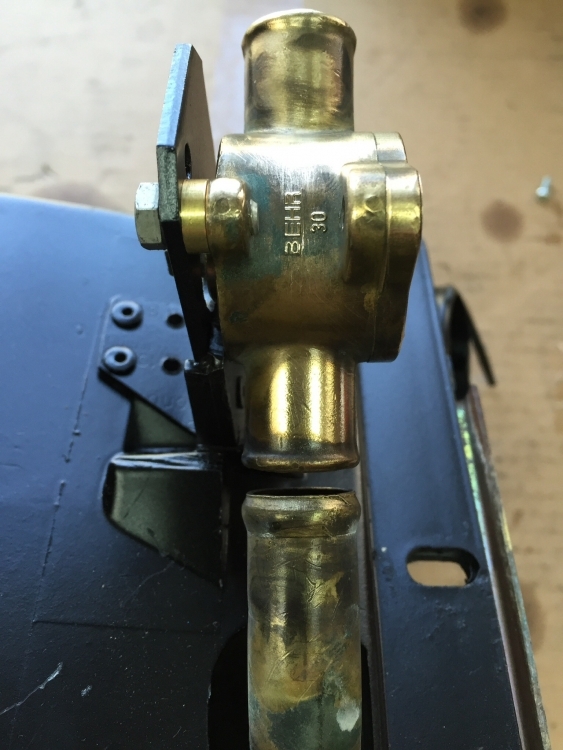 Because of weather exposure and rusty coolant, the valve starts to build up resistance when being opened and closed, making the plastic mount prone to breaking where the valve is mounted. And once it breaks, there’s not much else that can be done since the plastic tab is molded together with the whole enclosure. Although it may still work because the valve is supported by the two heater hoses, it doesn't feel solid anymore, and often the heater control cable kinks or bends. However, not all is at loss: I have designed an L shape bracket with spacers. 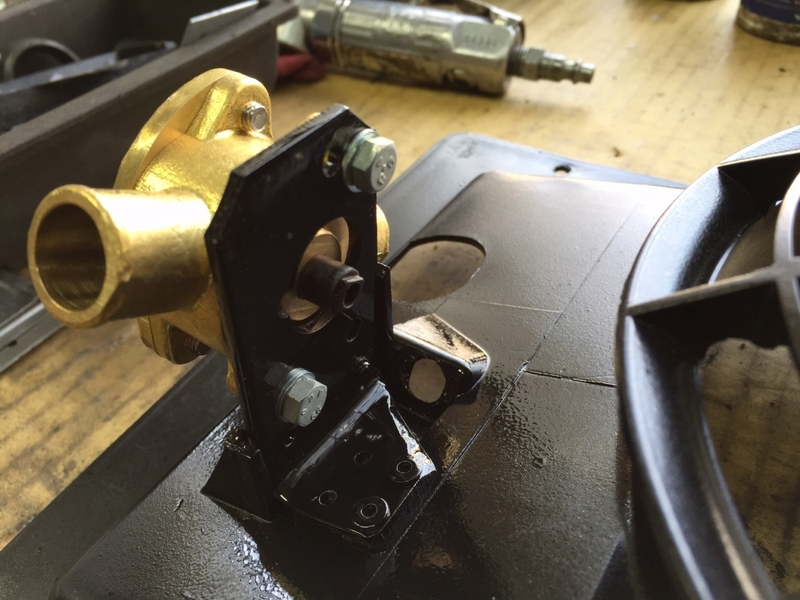 The bracket is mounted and reinforced by rivets directly into the box, and the spacers are there for the heater valve to be mounted inline with the heater core. 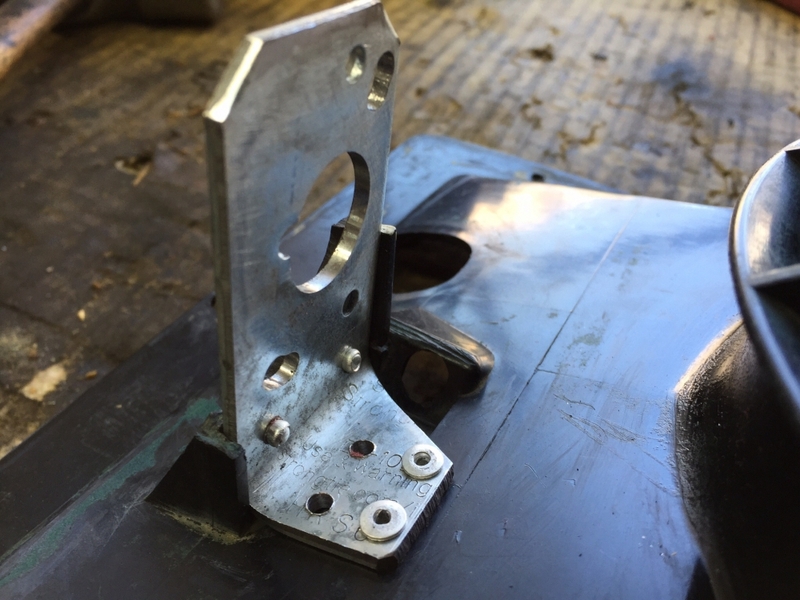 The bracket is made of steel, and will last much longer than the original plastic bracket on the box. Blower Motor: Replacement motors still available online, but you need to find a replacement fan blade. The motor shaft is 1/4" diameter, so you can buy a 5-9/16" dia plastic fan blade with a 3/16" bore diameter online, but you would need to drill (15/64") it slightly. After that, you can then press fit the fan blade into the shaft. However, the really important part of this is that you need a drill press to drill it on center. Otherwise, if it’s off center, the fan blade will wobble/ vibrate, ruining the whole rebuild process. I’m sure that all of you wouldn’t want to have that! Heater Valve Lever: This part is not available and you need to reuse the old one, but the bigger problem here is the screw that holds the cable. The screw has a hole drilled in the middle for the cable to go through, later being secured with a nut. Over time, the screw becomes rusty and is very easy to break when you try to remove the nut - Usually the nut has become frozen. This is a special screw: it's a 4mm step screw with a hole. The step is there for the screw to rotate freely when the cable push the lever back and forth. Fortunately, for all of us now, I have designed a special screw with a spacer to adapt to a custom heater valve lever that I have designed myself as well. The rest of the process of rebuilding the heater box is straightforward, as long as you pay attention to the flaps and cables operations during removal. Cleaning, painting and repairing cracked boxes is a tedious job. And even then, you would still need to replace the sponges that prevent air leaks from happening. You need to replace the sponge with a good material so that it doesn't degrade quickly. Neoprene sponge/foam is a good material for insulating all the flaps. You can see the pictures below from the beginning of the process to the final rebuild, including the reinforcement bracket and heater valve lever. If anybody is interested in getting these brackets and levers, you can email me at infous@autodynamiksf.com. Cant believe you are just "now" posting this... this article would of saved me about three of the four weeks Ive spent trying to figure out this dang thing - (just got the box in the car and it is now working great) . Great article! This upgrade has been posted many times. Good write up. Well done and thank you!